Since its formation in January 2009 by musical director Spencer Down, the orchestra has enjoyed incredible success with performances at Buckingham Palace for the Queen and the Royal Albert Hall with Grammy-award winner Imogen Heap. 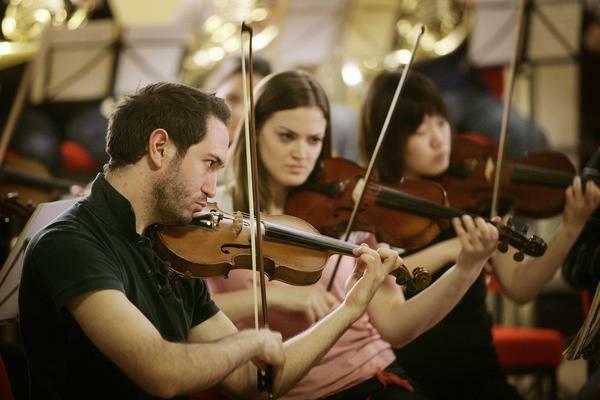 The orchestra has worked with high profile artists from cello virtuoso Leonard Elschenbroich to X Factor winner Joe McElderry as well as organisations including the English National Ballet, Royal Opera House and National Youth Theatre. Docklands Sinfonia has appeared on BBC1 and BBC Radio 3, as well as performing regular sell-out concerts with world-class soloists at St Anne's, Limehouse.